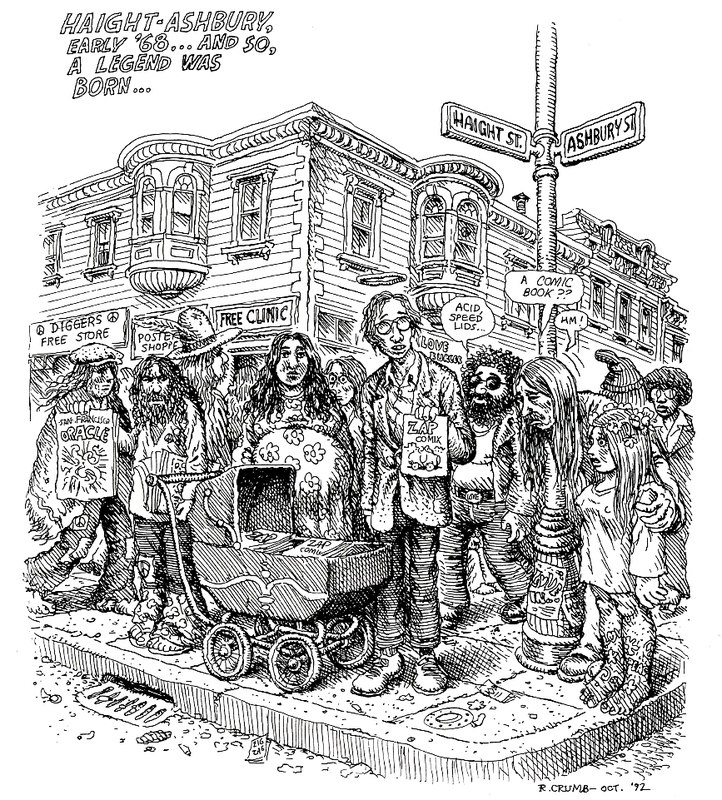 “Reading Crumb, and thinking about Crumb … it’s kind of crazy because you realize he’s the first alternative cartoonist, really. And he’s so good that an entire industry forms around him. Where you have people that were not publishers become publishers to publish him with the stuff he was doing in San Francisco. And then all these publishers asking other people to make comics, so they can keep publishing and making money off the back of Crumb’s reputation. Basically they sell a bunch of Crumb comics and then these head shops or records stores or whatever want more and then suddenly you have an entire industry being built up around one guy. And he’s so good – he’s got the craft and skill set of a John Stanley or Carl Barks mixed with this really primal, personal, intense content. So you can’t deny him – he’s the first cartoonist, he’s the best cartoonist – he’s yet to be surpassed I think”.